During the summer of 2012, we began a more coordinated effort to reach out to our surrounding community by hosting monthly Movie and Popcorn Nights, remote tailgates, harvest festivals and other events at our headquarters. This allowed us more time to get to know our neighbors and truly to begin building relationships. June 8-July 24, 2015, we hosted our first Youth Community Explosion Camp, “Ignite!”. This 3-day per week program continues to grow and reach 6th-8th grade youth. 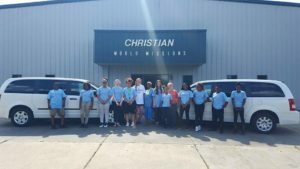 “Ignite!” includes Bible Study, tutoring, activities, field trips and service projects. Programming runs Mondays, Tuesdays, and Thursdays. If you are in the 6th-8th grade, plan to join us! Also, please contact us if you are interested in being a part of this local ministry. 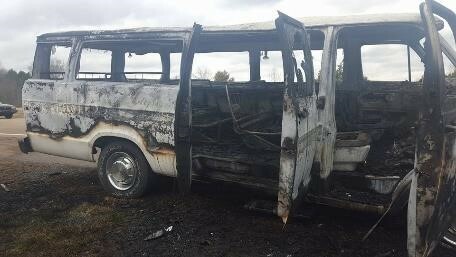 On February 22, 2016, our youth were on the way to a one-day retreat when our 15-passenger van caught fire. Everyone escaped safely, but the van was a total loss. It was a traumatic experience for all of us, even those who were not in the van. As most of the youth were panicking, one of the girls spoke up and said, “Y’all, we are so blessed. Nobody was hurt and God is with us.” She expressed what all of us felt. If you’d like to see a video of the fire, click here. Click here for the 2018 YCE Brochure , 2017 Fall Policy Form, academic form, Transportation Form- Overstreet, Transportation Form- Armstrong, and registration form! YCE’s Back-To-School Bash was an event to gather kids and their parents in the community for fun, food, and games. The bash was also to inform parents our Youth Community Explosion program and to recruit kids to be apart of the program. 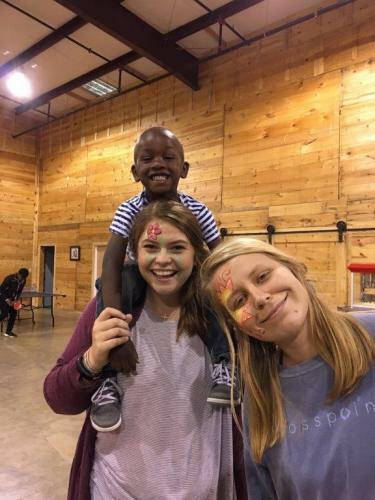 We had a lot of fun playing games, painting faces, eating snow cones, and getting to know one another. We all gathered together in the kitchen to bake some cookies for servicemen in the community. Everyone had a hand in the preparation of the ingredients to bake, baking, and delivering the cookies. 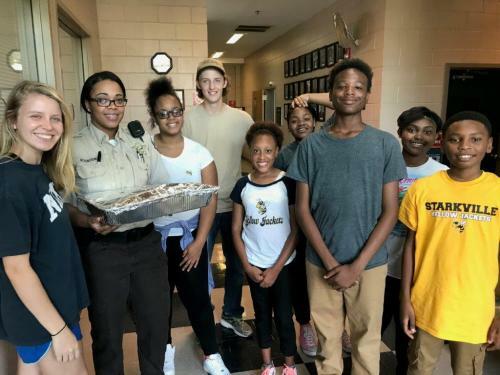 We delivered the cookies to the Oktibbeha County Sheriff department and Oktibbeha County Jail. 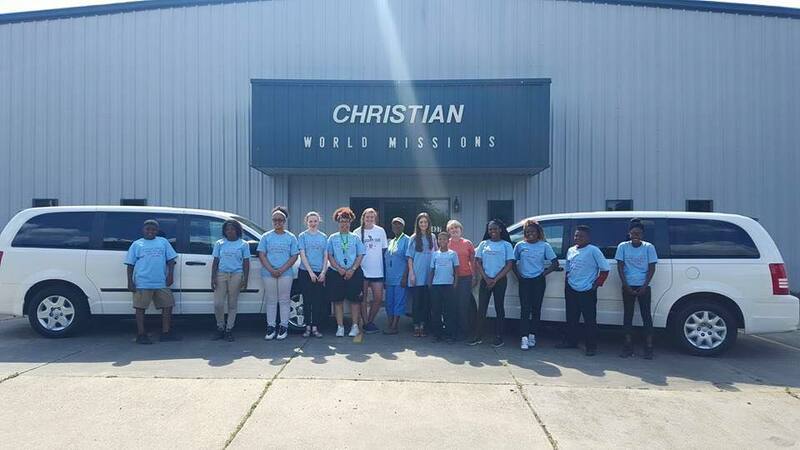 We took a group of our kids to Columbus, MS to help clean a neighborhood yard. We used Mr. Blake’s truck to load up tree limbs, sticks, and rubbish. Once the job was done, we took the kids to the park for a sack lunch prepared by Ms. Leah and play time. Afterwards, Ms. Lee Ann treated everyone to ice cream. You can view photos from the above events by clicking one of the photo album covers below.